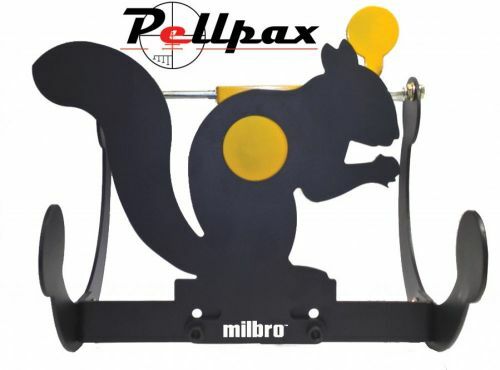 This target from Milbro is a uniquely simple and elegant target which has no moving parts and simply rocks about its axis when shot at to provide many hours of shooting enjoyment. The target is made from a thick gauge steel which is powder coated in black for a sleek appearance as well as defence against the elements for years to come. On the target, two shooting zones are present, either the cut out on the animal itself, or the disc behind it which sets the target rocking, which then eventually comes back to rest to start again.